So hey guys! Recently I've been getting into using more perfumes / body sprays and mists, so I decided that I wanted to share with you, my favourite summer fragrances. I hope you guys enjoy! 2. Pink, total flirt. 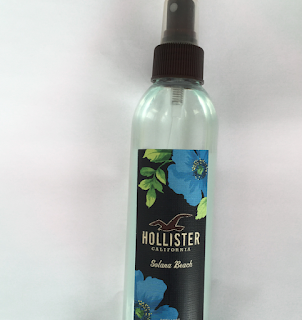 This is my favourite summer body spray! It has such a summery smell of Apple blossom and freesia and Is what I bring out every summer because it's so fresh. I love all the pink sprays because they smell amazing and are photogenic! 3. Hollister, solana beach. I've had this spray and long time and I love it so much! This is such a light and different smelling mist and I use it all through summer, well I use it all year round because I love this one so much! 4. 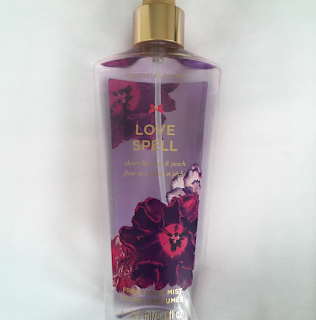 Victoria secret, love spell. This is such an amazing smelling body spray, the cherry blossom and peach go together so well! Victoria secret body sprays smell amazing and have the prettiest bottles. This was my go to perfume for 1 year and I still use it every summer! 5. Finally is a ted baker, pink. This is amazing! 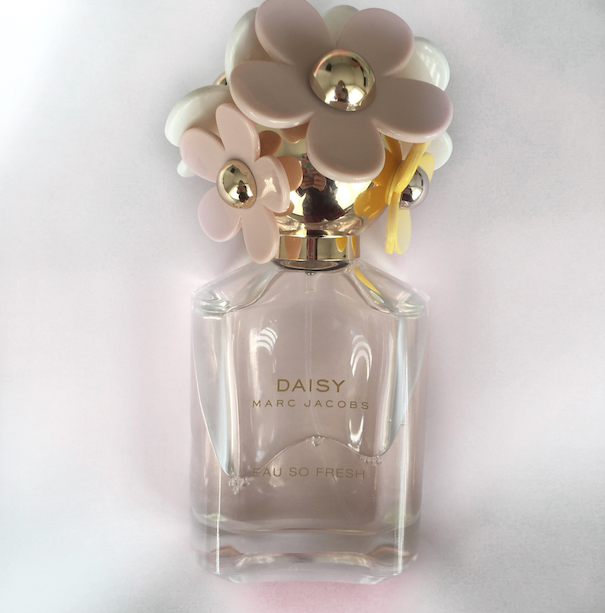 It smells quite like the Marc Jacob daisy Eau so fresh perfume but has a twist to it. for some reason, I think it smells of parmesan violets (like the best sweets EVER) but it might just be me. The packaging is so cute and it has such a floral amazing smell! So I hope you guys enjoyed finding my favourite summer fragrances, I'm not good at describing smells but I hope I did well! as you can tell I like a lot of floral / fruity smells. let me know your favourite fragrances in the comments I would love to find new fragrances and hear yours!